Rick Russek and Ron Bernaud, the owners of Bivouac Camping Trailers, set out to design and build the most rugged, functional overlanding trailers on the planet. Their design concept encompassed a trailer that is capable of maneuvering along rough dirt roads, which also contains an entire campsite that can be set up or torn down within five minutes. BCT makes trailers for the intrepid explorer who doesn’t want to stay in the same place all weekend. If you want to see and do more than the average camper, and if you want to go places where the roads can’t take you, then Bivouac Camping Trailers are made for you. Bivouac Camping Trailers has been operating in Phoenix, Arizona since June 2008. 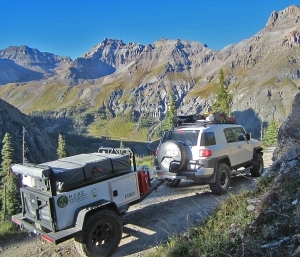 The company was founded on the basis of providing unique quality off-road expedition trailers and toy haulers for outdoor enthusiasts. We are a tight-knit, local company consisting of family and friends who have come together to fulfill a dream. Our unique designs were created in an effort to fill a niche that had been previously ignored. Our trailers allow adventurers to access camping areas that other style trailers simply cannot reach. With at least 16 inches of clearance underneath, Bivouac Camping Trailers ride higher than most of the vehicles towing them! Along the way, we have aligned ourselves with companies that have allowed us to manufacture the best off-road camping trailer possible. 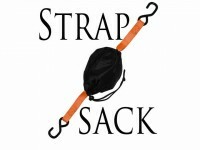 One of our partners is Tepui Tents out of Santa Cruz, California (www.tepuitents.com). Tepui Tents are made with incredibly durable materials that will stand up to the most extreme conditions. They use high quality rip-stop fabrics with a superior ventilating coating that provide excellent water and wind protection, yet are more breathable than other tent brands on the market. For added versatility, the M.O.A.B. 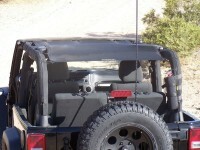 Fort’s Kukenam tent, for example, can be easily removed from the Fort body and mounted directly onto your SUV’s roof rack or aftermarket roof bars. Our camping trailers are also extremely customizable in order to meet your specific requirements. From private porta-potties and hot water showers to grills and even lift kits, you might be surprised what we can add to your Bivouac Camping Trailer. 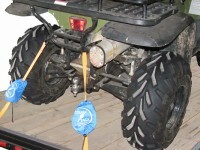 Plus, we can even paint your trailer to match your wheeling vehicle. 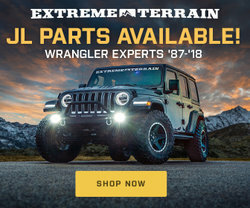 And with an impressive amount of cargo space, you can haul in all the gear and supplies you’ll need for a long wheeling trip. Bivouac Camping Trailers is located at 1 W. Deer Valley Rd., Suites 116 & 117 in Phoenix. Our shop is open on weekdays from 9 a.m. to 3 p.m., and we are also available by phone at 480-235-5557. You can learn more about our company and see images of our trailers on our website, moabaz.com. Rick and Ron look forward to sharing their passion project with you and answering any questions you have. GearPods makes modular, lightweight adventure and survival gear to help the outdoor enthusiast to prepare for the unexpected. The gear combines an innovative container system – GearPods Connect – with a range of pre-built GearPods Kits. The result is a configurable kit system that caters to casual and serious outdoor enthusiasts looking for pre-built kits and a-la-carte components respectively. The GearPods Connect system represents a new approach to organizing and packing adventure gear. GearPods Connect is a flexible and modular container system that is perfect for building kits. Sharing a common diameter as most sports bottle holders, GearPods are also easy to pack: in a bike water bottle cage, lumbar pack, hydration pack, backpack or even a pocket. 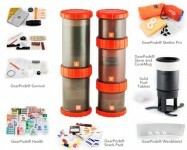 Our pre-built GearPods Kits cover the essentials of adventure and survival: first aid, survival, shelter, and cooking. These kits provide the best of both worlds: highly compact yet capable adventure and survival gear. GearPods are suitable for virtually every outdoor sport, including: hiking and backpacking, climbing, mountain biking, off-roading, kayaking, adventure racing, winter sports and hunting. 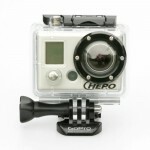 GoPro’s HD Helmet HERO is the world’s highest performance wearable 1080p HD video and still photo camera. Professional quality 1080p / 960p / 720p HD resolutions record at 30 and 60 frames per second (60 fps in 720p). Record up to 2.5 hours on a single charge and up to 9 hours total on a 32GB SD card (not included). In addition to HD video, this digital action sports helmet cam also shoots 5MP still photographs at 2/5/10/30 or 60 second intervals. Press the shutter button once and record up to 2.5 hours of poster-print quality POV photos of you and your friends’ most memorable moments. 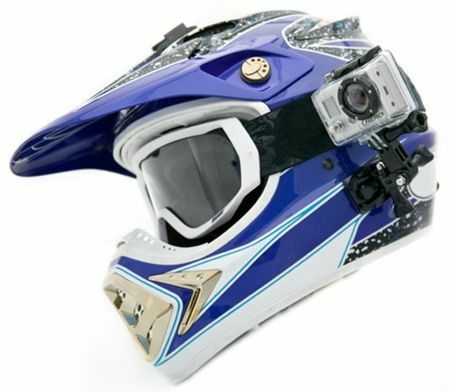 Helmet camera mount options include a headlamp style head strap that you can quickly share with your friends, a lace-through strap-mount for vented helmets, two curved and two flat adhesive mounts for attaching to gear, vehicles or whatever else moves you. The HD Helmet HERO is compatible with all other GoPro HERO camera mounts & accessories, so it’s very easy to expand the functionality of your camera to attach with a suction cup to vehicles, clamp to bike handlebars and seat posts, mount to surfboards, and even be worn on the wrist or chest. Waterproof to 180’ / 60m, shockproof, and protected from rocks and other hazards thanks to its removable polycarbonate housing. Replacement housings and lens kits are available, making repairs or refurbishing your HD HERO camera affordable and convenient.